Can you quantify the economic impact of your corridor? Advocating for resources on behalf of your commercial district can sometimes feel like an uphill battle. The challenge is often made more difficult by the fact that political will is often predicated on voter interest in an issue – and when most voters don’t live in the district their interests may or may not align with corridor revitalization efforts. Yet as many of us know, our commercial districts are the economic engines that keep our local regional economies humming. To counteract this problem, some communities are commissioning research that can demonstrate the value of the corridor to local and regional economic development. 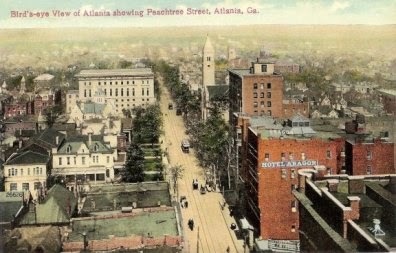 A study commissioned by three Community Improvement Districts (Atlanta Downtown ID, Midtown ID and Buckhead Community ID) three independent organizations that all service portions of Atlanta’s 8.5 mile “Peachtree Corridor” is a good example of simple fiscal analysis that proves significant impact. What they found should give leaders pause the next time investments in economic development are concerned. With only 3.7% of Atlanta’s land, the corridor services 58% of all jobs (70% in the professional, science and technology sectors) and 37% of the City’s total real estate values. Ensuring that the corridor remains strong and healthy is critical to ensuring that the City can continue to provide all of its residents with the vital services they need, from police to education to trash pickup. Making this connection crystal clear to community decision makers is a critical component of successful advocacy. With the report recently issued, local newspapers have picked up the story (“City Boosters to State: Peachtree is a vital artery”, Atlanta Business Chronicle, Nov. 17, 2014). Here is another hint, it’s not enough to write the report, you need to make sure the people know about – so don’t skimp on the PR!